By using both fat free mayo and sour cream you can whip up a low calorie spinach dip to enjoy often as an appetizer or snack. Try this recipe for a low calorie spinach dip. 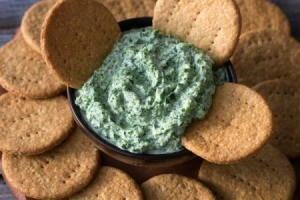 This is a low calorie and low cost spinach dip that can be eaten as a snack or appetizer. I like it because you can change it up a little and have a different style snack or swap a couple of ingredients and give it a whole new taste without adding more calories and the cost only changes by a small amount. 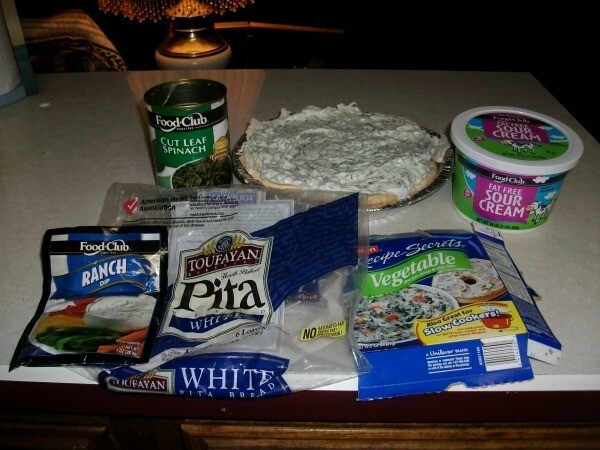 Put your sour cream, mayonnaise, dip or soup mix all together in a large bowl. Stir to mix all ingredients well. Be sure to not mix the dip and soup mixes all together at one time. You only want to try one at a time. I have tried each one at different times and my favorite is the Lipton. When the ingredients are stirred and mixed set aside. Drain your spinach. Drain as much of the water out of it as possible and then add it to your mixture that has been set aside. Use a pie pan. I normally save the pie pans and tops whenever I get a store bought pie so I have several pans and tops saved up. I can easily refrigerate them without having to try and cover them with plastic wrap. Open up two of the pita breads and lay them in the pie pan and then just just pour your mixture in on top on them. You can use the extra pita bread in the bag to dip into the mixture. The pita bread is much healthier and doesn't have as many calories or fat as the bread or chips that most people use. If you want to try something a little different, you can leave your mixture in a bowl and cut the Pita bread into triangles, about the size of tortillas. You can spoon out as much of the mixture as you think you will eat and warm it up in the microwave with a few pieces of the Pita bread. This puts a new spin on the snack and it is very good! This is an awesome recipe that everyone loves!